Grow Well seeks to equip pregnant women and their partners toward their goal of unmedicated childbirth. Through her classes, Meredith helps prepare couples to approach birth with knowledge, resources and training for labor and delivery in whatever birth space they choose--hospital, birth center or in the home. 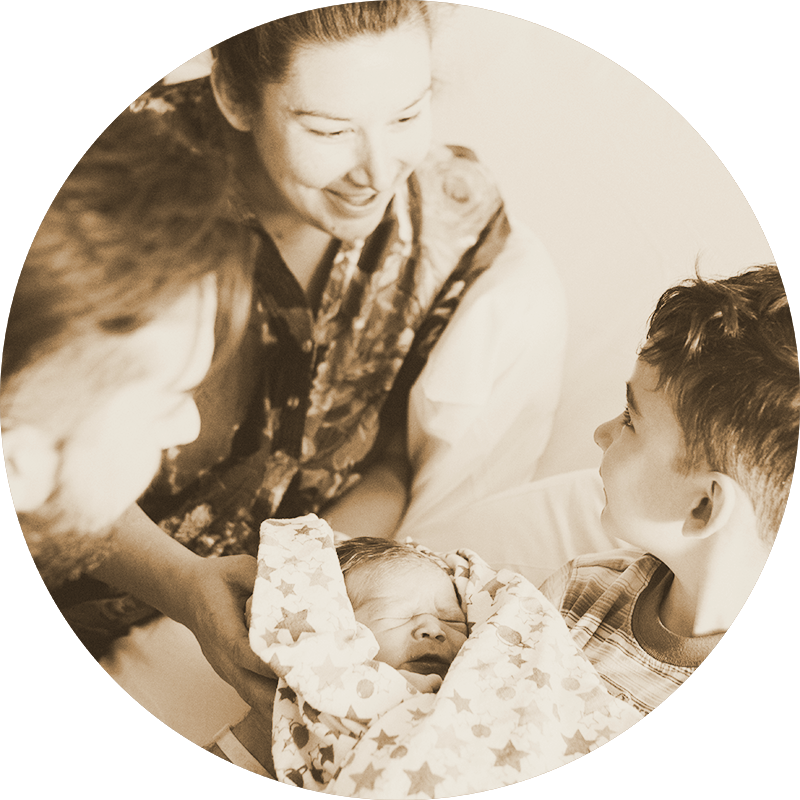 Meredith is trained and certified in The Bradley Method™ of natural childbirth. Her classes cover prenatal nutrition, relaxation, educating and equipping the partner ("coach") for birth, what to expect in labor and delivery, pain management techniques, labor practice, and more! Please contact for further information or to sign up for upcoming classes. Currently accepting couples for the next class series, which begins in South Orange County in Summer 2019. Hello! I'm Meredith, an experienced and trained birth educator in The Bradley Method™. My background is in counseling and non-profit work, helping young adults, children and families. I chose to become a birth educator because it is important to me that women and their partners enter the birth space with peace and confidence, fully equipped to have the birth they desire. Women should know and understand what is happening within their bodies during pregnancy, labor and delivery and why it is happening. Entering childbirth without fear but rather with preparation and education is something I hope all my families experience—no matter the setting, medicated or unmedicated! On a personal note, I am a wife of ten+ years to my best friend and college sweetheart, Nathan, and a mama to two young sons, Eliseo & Agustín. When I'm not teaching, I'm usually found at the park with my boys or in the kitchen experimenting with new, healthy recipes for my family. The Bradley Method® childbirth class series is for women and their partners (or support person). Whether it is your first pregnancy, you're working toward a VBAC or are looking to have a more educated experience this time around, this series is for you! The classes are discussion-based and cover topics like nutrition, exercise in pregnancy, informed consent, stages of labor, relaxation/meditation and more! In addition to the training in each class, you'll receive a workbook, access to my lending library and my personal referrals. Classes are small, allowing for more attention to each couple. Payment plans offered! The Bradley Method class requires the pregnant mother and her partner or support person to attend each class. Please list your baby's estimated due date. Pick your Series Type * Group Classes Private In-Home Classes I'm interested in finding out about both. We would love to thank the person/s who referred you! Thank you for your interest in Grow Well childbirth classes! We will get back to you shortly with a confirmation of your registration request. Please note: your registration request form does not guarantee a space in a Childbirth Series class. If you've gone through birth education before through The Bradley Method® or another natural childbirth training, but you'd like a review for your upcoming birth, this class if for you. We cover the stages of labor, meditation practice and some relaxation technique review. This class is most likely one-on-one in your home, or a small group if there's enough interest. Please include both the mother's name as well as the partner's (or support person's) name. Please indicated the baby's due date. Please indicate what type of refresher class you're interested in taking. Please indicate what your previous childbirth education was and when you took that class. What are you most hoping this class will cover? Thank you for your interest in Grow Well refresher classes! We will get back to you shortly with a confirmation of your registration request. Your registration form does not guarantee a space in a refresher class. Classes are subject to the instructor's availability prior to your due date. If you and your partner are feeling a little overwhelmed about all the options out there surrounding pregnancy and birth, and you'd just like to sort through it all with someone who has been there before, I've got good news! That's what a prenatal consultation is all about. I will help you understand the various options surrounding pregnancy, birth, and postpartum care. If you're planning to have your birth in the hospital, birth center, at home or still haven't decided, this is a judgement-free consultation and caters to all pregnant women. Prenatal Consultations are tailored to your needs and are by appointment only. The consultation will have the greatest benefit if done during the first or early second trimester. Please share with me your guess date as well as the name of your current care provider. Please select the topic areas you're looking to be covered in the consultation. If you don't know, that's okay! I have no idea. I just need help! Thank you for your interest in attending a Grow Well pregnancy comfort class! We will be in touch with you soon. "Even though we were going on baby #4, our classes with Meredith were incredibly helpful. Her approach to delivery was incredibly empowering for my wife, but it was also empowering for me. It was great to be reminded of my role as a helper and support in this beautiful moment of life. Thanks, Meredith!" "We went into the birth of our first child hoping to have an un-medicated birth, but we were definitely underprepared. It was important to us to find a class that equipped my husband, as much as it equipped me, the mother. Thanks to Meredith's experiential teaching style and effective communication of the material, we learned much more than we were taught in prior hospital classes. We were able to apply that knowledge when it mattered—during the actual birth. We entered the labor and delivery of our daughter without fear and were able to identify the different stages of labor and utilize coping strategies effectively in each stage. We learned how to communicate what I (the mother) needed during the different stages of labor and can honestly say we enjoyed the un-medicated labor and birth of our daughter. " "Meredith's heart for women and children has been evident the entire time I've known her. She's a strong, smart woman with an equal balance of warmth, compassion and determination. She makes tough topics approachable and the uncomfortable easy. She's someone I turned to as a sounding board during my pregnancy and she was always ready with the right words of advice and encouragement. "